Visa Europe and its innovation hub, Visa Europe Collab, have teamed up with visual discovery and augmented reality app Blippar to bring augmented reality to payments. The new e-commerce solution, unveiled at a recent fashion show in London, enables designer garments to be instantly purchased straight off the backs of models. The pilot fashion brand for this project is House of Holland. The technology is now being tested in a proof-of-concept launch, in a live retail environment – House of Holland’s menswear launch. 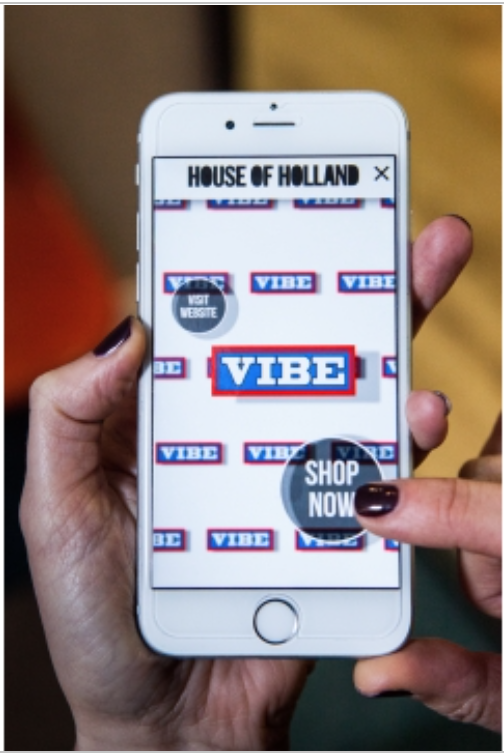 Visa Europe and Blippar plan to make the technology available to other retailers on a wider scale later in the year. “Augmented reality can and will transform the retail journey,” states Visa Europe Collab. Here is how it’s done. “By intelligently integrating online and offline (in-store) shopping experiences, the advanced augmented reality technology not only recognises an item of interest but allows the user to complete a transaction right then and there,” explain the product creators. Visa Europe Collab co-founder Hendrik Kleinsmiede envisions: “Imagine a future where you can point your phone at a friend’s new outfit with their permission, only for the app to recognise and source that outfit in your size, and give you the option of having it sent straight to your home. Spain’s CaixaBank has developed an application for Google Glass, the futuristic and controversial new technology that is set to bring augmented reality to the masses when it launches later this year.